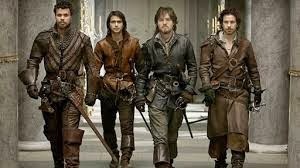 While the Musketeers may be a hit on BBC1, it’s becoming clear that an: ‘All for one and one for all’ approach is not alive and well when it comes to arguing the case for the location of the proposed Lower Thames Crossing. Jackie Doyle-Price, MP for Thurrock, has said that Thames Gateway will never become a powerhouse of economic revival without a new river crossing far to the east of Tower Bridge, calling for the next crossing to run through her constituency. Option B running through Swanscombe has been rejected by the DfT, leaving option A through Thurrock and option C connecting the M2 with the A13 and M25 between junctions 29 and 30 still under consideration. After raising his concerns during PM’s Questions, Stephen Metcalfe secured a meeting to discuss the matter with David Cameron. As a result there’s the need for the South East Local Enterprise Partnership (SELEP) to step up, knock a few heads together and agree a consensus on the option that delivers the best possible economic benefit for both Kent and Essex. The case for Option C from a Kent perspective is unequivocal as it unlocks greater benefit for communities in Medway and Swale, and helps the hard pressed communities of Dartford and Gravesham by improving traffic flows in and around the existing crossing. However, the benefit would also be felt as far down the M2 as the Port of Dover, strengthening the commercial attraction of the port to freight and cargo traffic. Now is the time for Kent to step up its game, and that includes our representatives in the House of Commons, and start putting the case more strongly for Option C.